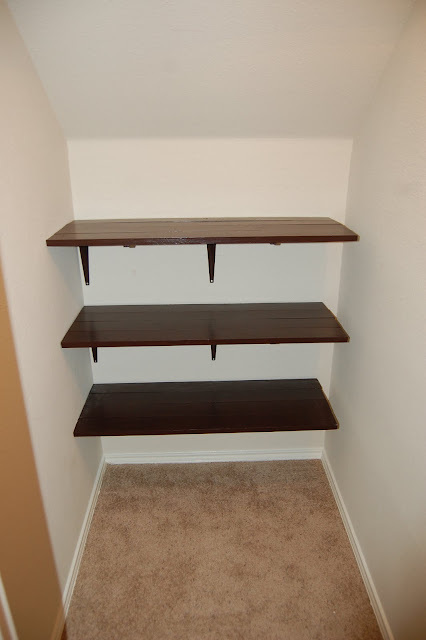 Mom of My Dreams: Hand Made Shelves! 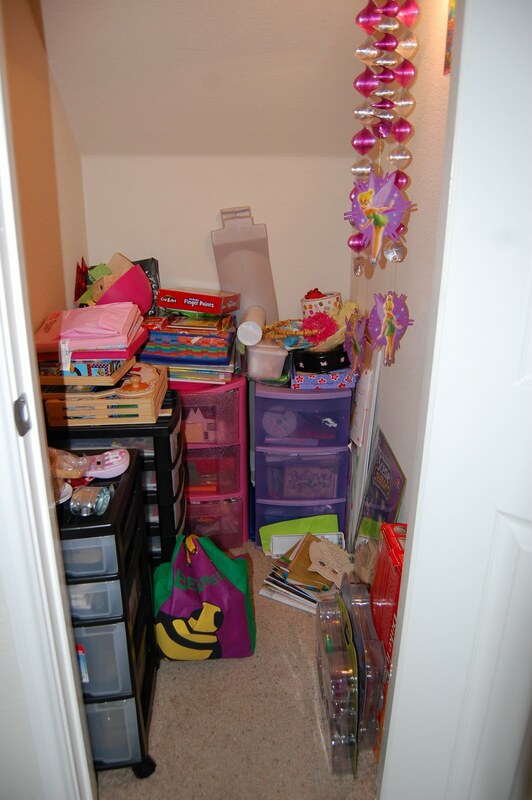 The homeschool/craft/party closet is located under the stairs and has been one big mess since I started using it. I tried to contain everything in drawers but whatever did not fit in the drawers got piled on top of them or on the floor. After successfully making the lemonade stands for the girls I thought I would try my hand at making shelves for the closet. I bought several 1x4's and some white metal brackets. I primed the wood then painted it in espresso. I painted the brackets to match the shelves. The brackets are not centered because of where the studs are in the wall. 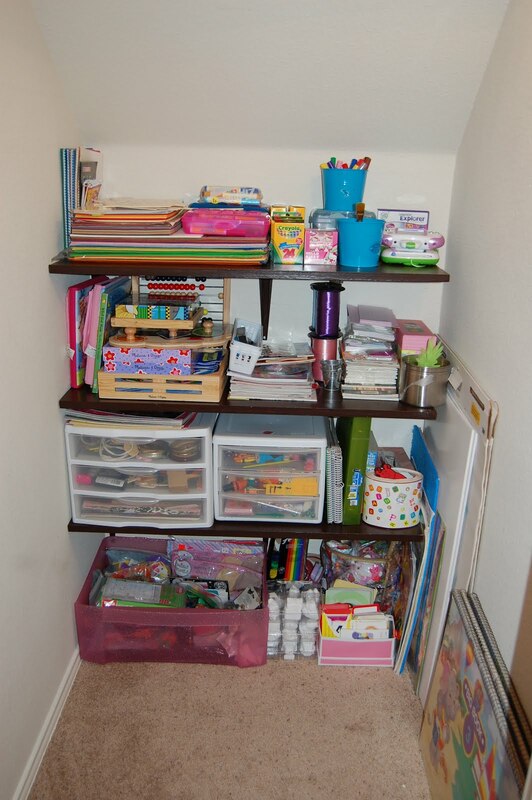 I do have two rolling drawer sets that fit right in to the left side of the closet and those contain daily activities for the girls. It feels good to be organized!